Lots of people all over the world have dreams of making it in Hollywood, but one 32-year-old boy name Shia LaBeouf from the sleepy town of Los Angeles just might have a chance to make those dreams a reality. 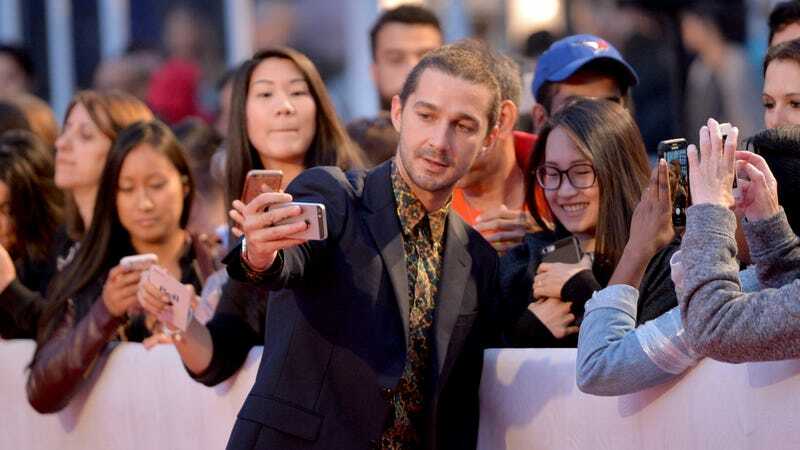 That boy’s name is Shia LaBeouf, and according to The Wrap, a script he wrote for a feature film called Honey Boy has made it to the quarterfinals of the PAGE International Screenwriting Awards, a contest designed to draw attention to up-and-coming screenwriters. LaBeouf seems to have a slight advantage over the other competitors, though, because this contest isn’t his first brush with the movie industry. In fact, you may have actually heard of him. before today. He has appeared in more than 55 movies and TV shows, including big hits like the Transformers movies, underrated Disney Channel classics like Even Stevens, a terrible Indiana Jones movie, and a handful of things that are actually good like American Honey. Plus, his Honey Boy script is already being made into a movie starring Lucas Hedges, Martin Starr, Natasha Lyonne, and Maika Monroe, all of whom are real actors. “Slight advantage” may seem like an understatement, then, but PAGE executive director Kristin Overn told The Wrap that this is “not necessarily the case,” because the scripts being considered are “judged anonymously.” So, just because Shia LaBeouf is already a famous movie star/performance artist whose script—which is about his own life—is already getting made, it doesn’t mean he’s getting any special treatment. It does mean that it would be a little less meaningful for him to win than it would be for someone who wasn’t on Even Stevens, but it seems like nobody really cares about that—unless Frank Grimes is planning to pop up and throw a fit. Time to go home to my mansion and eat my lobster!